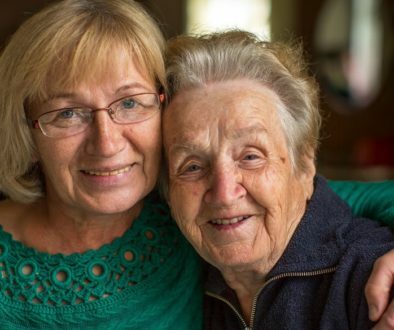 Enjoying a breezy spring day or the warm summer temperatures doesn’t have to be a distant memory for elders and caregivers. 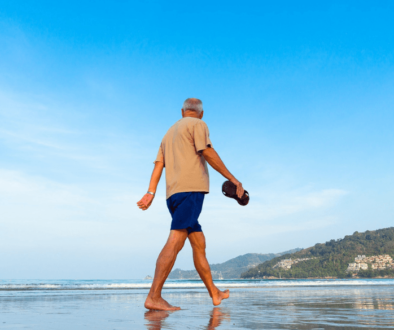 Finding an interesting activity that is suitable for a senior’s abilities takes some creativity and planning, but it is well worth switching up the routine and getting out of the house. A main advantage of heading outdoors, even for a short period of time, is being able to soak up some sunlight. Sun exposure generates vitamin D, which is necessary for a healthy brain, bones and muscles, says Dr. Michael Raab, a geriatrician with Lee Health System in Fort Myers, Florida. Some doctors even prescribe sunlight as a source of vitamin D, which research has shown can improve cognitive function and mood. In addition to the physical benefits of natural sunlight and fresh air, being outside provides mental and emotional benefits. 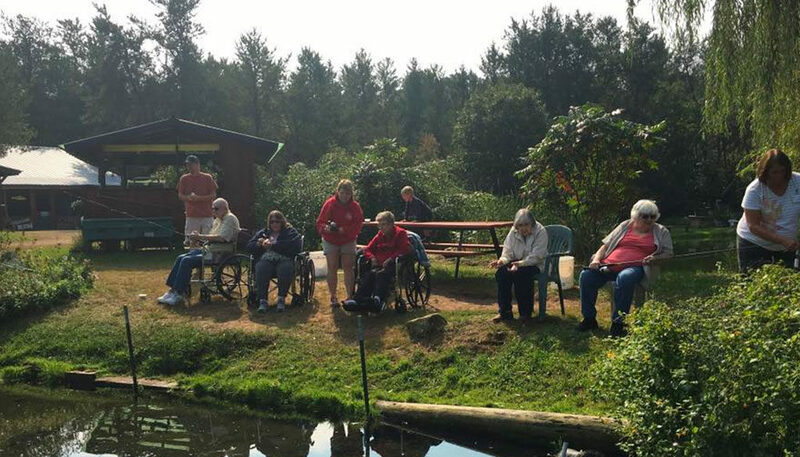 Getting out enables elders to socialize with new people, and many outdoor activities provide opportunities for interacting with children and animals. 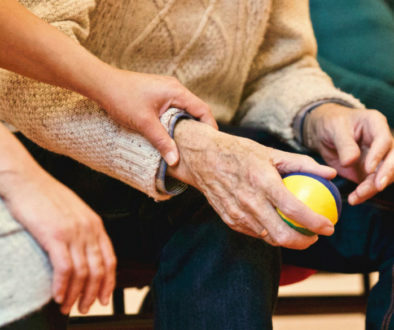 Such activities can give people an extra spring in their step and rejuvenate them, says Christina Chartrand, vice president of training and staff development for Senior Helpers, a nationwide in-home care company. When selecting an activity to do with your loved one, focus on hobbies and interests that they used to enjoy and get creative with new options they might find fun and rewarding. Catch a sporting event. Attending a grandchild’s soccer game or a professional baseball game can be an action-packed way for your loved one to reconnect with one of their favorite pastimes. Fish for fun. You can cast a rod from a dock, pier, or other location, even if someone has mobility problems or uses a wheelchair. Check your state’s tourism or state park websites to see if they provide listings of accessible fishing locations. Many areas across the country have also started offering all-terrain wheelchairs for check out or rental that can help a loved one with mobility issues get closer to the water. Be a tourist. If you live in a city, take an open-air bus or trolley tour to see the local sights. Another option could be a boat tour, depending on what type of equipment an elder needs to take with them. “It gets you both outside, but you don’t necessarily have to be walking,” Chartrand says. A Sunday drive around town can also allow a senior to check out happenings in the community that interest them. This could be new construction, blooming flowers and trees, or even festivals and community events. Take a dip. For some folks, this might entail putting a foot in the pool, while others may be able to handle low-impact water aerobics. If a senior is willing and able, spending some time in the pool is an excellent way for them to incorporate some physical activity into their routine that seems more like relaxing than a workout. Stroll around. If a walk is possible, start slow and work up to longer outings. Either keep the first few walks short, or bring along a walker or wheelchair in case your loved one gets tired and needs to rest along the way or requires help getting back. Be an animal lover. This could be as simple as encouraging a loved one to sit outside and enjoy the sights and sounds of a birdhouse, bird feeder or bird bath in the yard, or could mean an outing to the zoo or local dog park. There are plenty of options for seniors who enjoy animals to get outside and either interact with or observe nature. Go fly a kite. Head to a park or beach and get a kite soaring. Let an elderly individual take control, which they can do while sitting down. If children are around, they can get involved by trying to keep the kite in the air. Picnic outdoors. Picnics are another flexible activity that you can plan at a park, in your own backyard, or on the surrounding grounds of a long-term care facility. At the park, seniors can watch children run around and enjoy the buzz of outdoor activity. Make sure to locate an area with comfortable seating and plenty of shade in advance, or remember to bring your own. Attend community events. From Memorial Day concerts to Fourth of July parades and fireworks, there are plenty of community events during spring and summer that offer opportunities for elders to get out and be part of the crowd. Many communities offer outdoor musical performances, art shows, car shows, flea markets and more. Peruse the events section of the local newspaper to find happenings that fit your loved one’s interests and abilities. Go out for a treat. Most seniors have a favorite snack or restaurant that picks their spirits right up. Instead of limiting this indulgence to special occasions or the post-doctor’s appointment routine, make an outing out of it just because. This could consist of getting an ice cream cone from the local Dairy Queen, a coffee and pastry from a favorite breakfast spot, or a lunch special from the diner around the corner. If the weather is nice, enjoy your goodies at a patio table. Older bodies don’t adjust to temperature changes or perceive thirst as well as younger ones. With each of these activities, be sure to watch your loved one for signs of fatigue, thirst, sunburn, and overheating that could signal it’s time to leave, perhaps with a promise to return at another time. Use these ideas as a springboard. You know your loved one best. What did they enjoy when they were younger? What is something they always wanted to try? Don’t be afraid to ask what they miss doing or what they’d like to revisit. They may not hear those questions very often. You may get some resistance, so just say with a smile that it would make you very happy to do this with them. Have a couple of suggestions prepared to choose from and head outside to enjoy the day together.